Why people are sharing their rental horror stories on Twitter. Australian renters are sharing their worst rental horror stories and it's... horrifying. Anyone who’s rented before probably has at least one rental horror story. 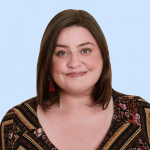 For me, I lived in an apartment that always had a… smell. The towel rack in the bathroom was broken and I would often cut my elbow on it. The carpets looked like a… crime scene. And after a particularly rainy period my whole apartment became covered in a thick mould. And I was paying for this experience. My story is not unusual. Last week, a new report found that 51 per cent of renters are living in a home that desperately needs repairs. The report, called Disrupted: The consumer experience of renting in Australia, surveyed over 1500 Australians and was written by consumer group Choice, National Shelter, and the National Association of Tenants Organisations. The report also found that renters fear they will be evicted or be faced with a rent increase if they ask for repairs. 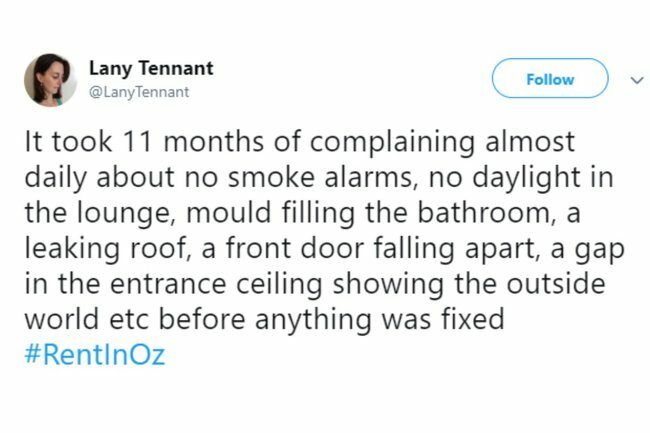 In response, Australians are sharing their rental stories using the hashtag #RentInOz on Twitter. Moved into a fairly stingy, but affordable flat in inner city Melbourne. Former tenant had been dealing drugs out of there for years. This is underneath my kitchen sink – our benchtop is cracked, leaks, and get mouldy. When I asked my landlord for repairs, he said “get used to it – it’s an just old house”. #RentInOZ Landlord had installed fake smoke alarms. When we asked about it they accused us of selling the real ones.